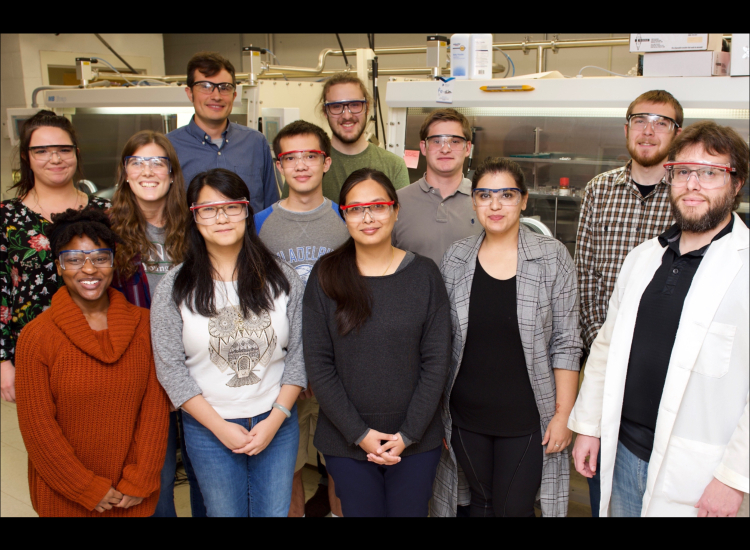 Welcome to the Walter Research Group in the Chemistry Department at UNC Charlotte. We are interested in the synthesis and development of new materials for Solar Energy Conversion. Photoactive materials such as porphyrins are developed in our lab can be used to harvest solar photons and convert that energy into either electricity or into a fuel such as hydrogen. Our work involves testing these materials in organic solar cell, dye-sensitized TiO2 solar cell, or photoelectrochemical cell configurations. Our work spans materials research, organic syntheses, and nanoscience. Further information on the Walter Research Group can be found here.